Neily Buff has over 18 years of Hi-Tech Sales, Partner Management, Product Management, Marketing, and Education and Consulting Services experience. She is currently leading Citrix Systems (CTXS) Education Solutions global team, which includes Product Management and Partner Management. In her current role at Citrix, she works closely with Geo based leadership to identify and create a single Education solution that meets our organization's global needs. In addition, her team develops and manages Partner Programs by which our delivery is nearly 100% leveraged. Neily's team has created a unified learning experience across multiple development teams, re-engineered the way a student learns and has brought to market more compelling offers and solutions. In prior roles at Citrix, Neily has hired and built sales teams who, during their best streak, overachieved 6 consecutive quarters, managed the day to day operations of our Partner Program responsible for driving more than half of our financial target, and participated in several Women in Leadership activities. Neily is also the founder and active board member of The Share the Stoke Foundation. An organization committed to creating leadership, discipline, community and responsibility for children globally through the sport of surfing. I have had the remarkable opportunity to work with a team that has done an outstanding job at developing exceptional relationships with our Citrix Education Partners. This has significantly helped us to accumulate insightful feedback to grow the Citrix Education Channel. By working closely with our Geo based leadership to identify growth opportunities, we have successfully revitalized sales through the implementation of our Partner accelerator program. This program was designed to reward CALC Partners for meeting defined quarterly targets, in accordance with the market needs and Citrix strategic goals, with a scalable model to reward bookings overachievement. Within the first 10 months of the program being launched, it brought in overachievement from 40% of participating Partners, adding significant incremental revenue to the bottom line. We have also improved the Citrix Education Partner Program by implementing a CALC Incentive model, which has improved the demand-generation services we do on behalf of our Partners. Additionally, we have implemented a Citrix Recertification Program, that motivates students to return to the classroom to maintain their Citrix technical certifications, while also creating added-value for Citrix Education instructor-led trainings. Our Citrix Recertification Program has led to an approximately 20% increase in classroom attendance. Over the next year, we will align our focus to drive closer relationships with existing Partners and will continue to look for unique opportunities to grow our collective business. Our goal is to increase bookings and to obtain new qualified Partners to help us fill any existing gaps. I recently had the honor to be listed as a 2018 Channel Chief, which was awarded by The Channel Co. (CRN). I truly admire Christy Vega's ability to successfully balance her personal and work life. 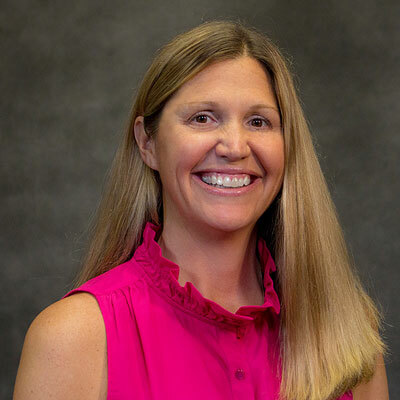 Christy is our Citrix Education Sr. Channel Sales and Programs Manager and has been a substantial driving force in identifying opportunities to grow our Citrix Education Partner Program. She is always a joy to be around and I can always count on her to effectively follow through with any task at hand. Keep trusting yourself! Several years ago, I had a stable and secure job as a teacher and decided to take a leap by leaving my teaching job to join a startup company, now known as Oxygen. Although it was a huge risk, I felt like it was the right decision for me and decided to finally trust myself. By trusting myself, that decision has made a lasting positive impact that has created significant opportunities within my life. I am currently interested in learning more about utilizing Tableau and Salesforce reporting tools. These skills would allow me to independently provide detailed reports to our leadership team without relying on an additional team's assistance. I believe it would also give me a better understanding of how we can improve our reporting processes as a whole. The best book I've read this past year is Shh! We Have a Plan by Chris Haughton. It is a children's book that I read with my daughter and the plot involves a group of individuals that are trying to solve a problem. As the story progresses, you realize that the youngest of the group discovers the answer to the problem simply by being observant, yet no one chooses to listen. The book does an outstanding job in displaying how we tend to overcomplicate our problems and how the simplest solution is not as implausible as it may seem.